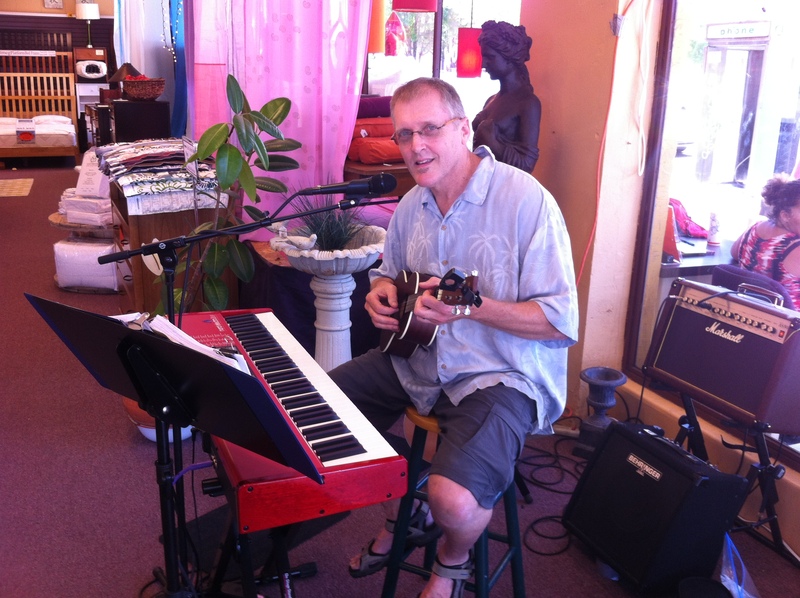 Beautiful day to be playing music for the folks at Cotton Cloud Natural Bedding in NE Portland. Super nice folks and easy on the eyes store layout. Played for all kinds of patrons of all ages. A fun two hours spent on this Saturday. Cover songs from Billy Joel, Elton John, Beatles, Elvis, Van Morrison, Jimmy Buffet along with some originals from my album, “In Those Days,” done acoustically. However, any time I performed with the ukelele, that got the best crowd reaction. 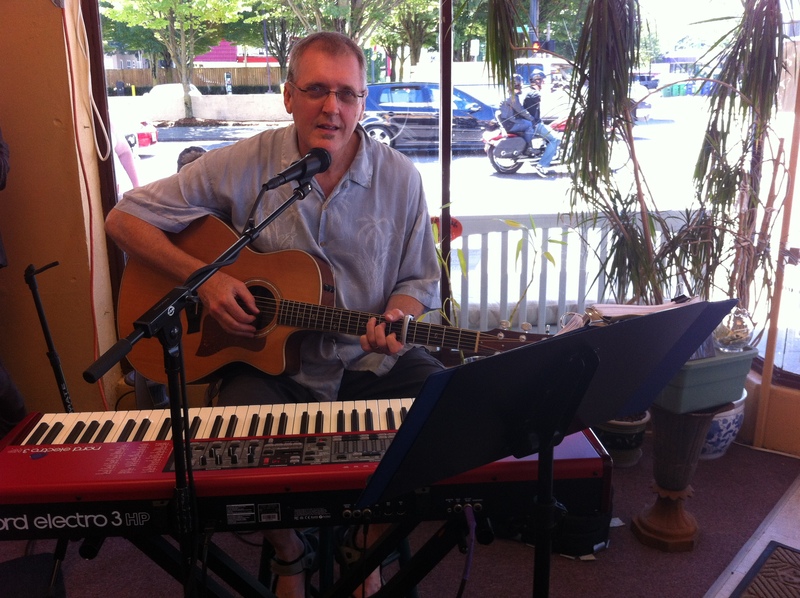 This entry was posted in Uncategorized and tagged Acoustic guitar, acoustic guitar and vocals, classic keyboard pop, cover tunes, Keyboard/Guitar/Vocals, Live performance, Live Piano, original Music, Ukelele and vocal on July 19, 2014 by Chris Taylor.